Why 'Someday'? 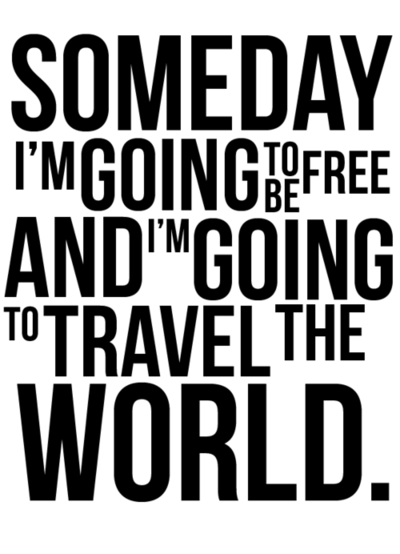 Someday sounds far away. Go board the Alps. Go tend bar in Lagos. Go sleep on a ferry as you jump from one Greek island to another. Bury your toes in the black sands of Santorini. Get drunk in a real Irish bar. Listen to classical music in Prague. Backpack through South America. Someday? Someday was yesterday, and it disappeared really, really fast.